Editor's Note: The Constitution and those who support it are under a vicious and multi-faceted attack by Democrats and their toadies in the media. 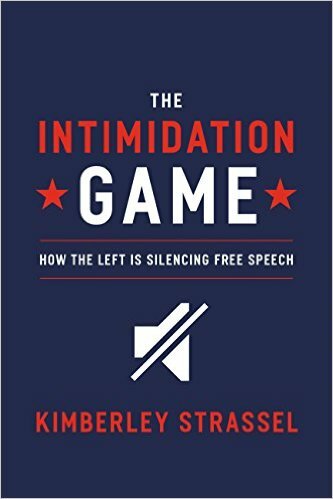 Strassel's shocking new book -- The Intimidation Game -- is the first real account of how radical Marxists inside the Obama administration attacked political opponents. From Wisconsin to California, Strassel shines a tactical spotlight on the totalitarian fascists that infest Democrat politics. Lois Lerner’s confession at that conference did contain one small truth. The IRS targeting scandal did indeed start in “Cincy”—as D.C. headquarters refers to that outpost. On a cold late February day in 2010, a Cincinnati screener named Jack Koester found himself focused on an application from a local Tea Party group. The IRS is a vast organization, employing ninety-five thousand people, who enforce a code 3.7 million words long that oversees taxes on everything from income to corporations to employment to estates to gifts to excises. It’s home to agents and auditors and specialists and examiners and investigators and lots and lots and lots of lawyers. It also oversees organizations that are “exempt” from paying taxes. The Exempt Organizations unit at the IRS is in fact a big operation; on any given day it oversees a universe of 1.5 million recognized tax-exempt organizations. Precisely because the IRS handles so many nonprofit groups, it maintains a dedicated unit in Cincinnati—known as the Determinations unit—that processes initial tax-exempt applications. The Cincy Determinations unit in turn is divided into thirteen groups, one of which handles the initial “screens” of applications. The typical screener spends fifteen to thirty minutes on an application, and completes twenty to thirty a day. And she had a long history. Before landing at the IRS, Lerner spent twenty years at the FEC, rising to become its acting general counsel. Never in all that time did she hide her views that money was a problem in politics and needed more restrictions. She was seen even then as a highly biased FEC enforcer—one who harassed conservative groups that wanted more freedoms in politics. While head of FEC enforcement, Lerner played a role in the 1990s in going after former Mississippi governor Haley Barbour over a nonprofit group he established called the National Policy Forum, which had been accused of taking illegal foreign contributions. (The Justice Department would later find no evidence of a crime.) She was part of an effort to take down a dozen Republican state party chairmen and the Republican National Committee, over accusations that they had broken finance laws during George H. W. Bush’s 1988 presidential bid. That case stayed open for seven years. She’d most famously help wage a small war against the Christian Coalition, in one of the largest enforcement actions in FEC history. The coalition was accused (with no proof) of illegally coordinating its advocacy with Republican candidates. Mark Hemingway of the Weekly Standard documented that the harassment cost the conservative group “hundreds of thousands of dollars, and countless hours of lost work.” James Bopp (of later Citizens United fame) handled that case, and he revealed in testimony that the FEC team deposed 48 different people, conducted 81 depositions, put in 127 separate document requests, and sent the group 32 different interrogatories containing hundreds upon hundreds of questions. The agency demanded donor lists, and even inquired into whether people in the group were “praying” for each other. Each of the coalition’s 49 affiliates got document demands; it would ultimately hand over 100,000 pages of information. Read more in "The Intimidation Game".